I have been helping at a pajama storytime at the Milwood branch of the Austin Public Library to get some more storytime experience. 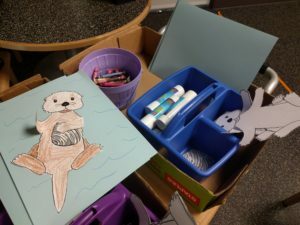 I got to plan and lead the July pajama storytime and wanted to share what I did! Bread and Butter Welcome Song– learned this from multiple sources. Here is the Jbrary video. Let’s say hello as low as we can. Hello! Let’s say hello as high as we can. Hello! Wrigley the Pack Rat puppet and letter of the day, S for shhhh, sounds, silence, sleepy, story. Noisy Night by Mac Barnett– I got to make lots of silly noises and got many laughs for this title. Two little blackbirds sitting on a hill. One named Jack. The other named Jill. Come back Jack. Come back, Jill.sitting in the snow. One was fast. The other was slow. sitting on a cloud. One was quiet. The other was loud! Moon, Moon, Moon by Laurie Berkner– I have been singing this while playing it on the ukulele for months at this pj storytime. It always gets a good response. One of the patrons even sent us a video of their child playing a little toy ukulele and pretending storytime. Swoon! Skinnamarink which is this library’s regular goodbye song. Craft and Stamps- This was a simple otter cut out that could be colored, pasted on to blue paper which looked like water. We had 68 people! And many of them were new faces which was nice. We were short a couple of craft supplies, but otherwise, everything went smoothly. Please note, I would have really liked to have had more diverse authors for these titles. The theme we were going for was ‘loud vs. quiet at bedtime’ which is pretty specific. 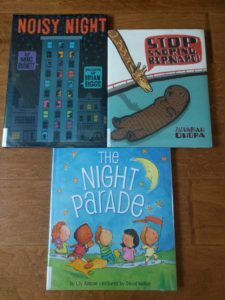 These books were great for the theme, great in length, and all worked well in a storytime setting. But I certainly learned a lesson here: working with a theme can be really limiting when you are intentionally inclusive in book selection. I ran across this post on Jbrary from earlier this year that reflected what I was struggling with for this storytime. It was written by Echo, a children’s librarian in Washington State. 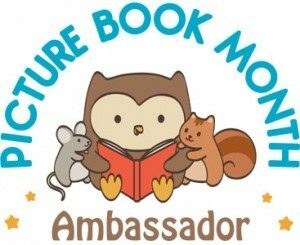 Check out that full post because Echo shares several diverse storytime book lists. Thanks, Echo! And thanks Jbrary for being such a great resource.